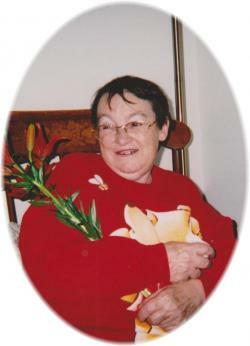 Janet Dianne Daniels – 70, of Kentville, passed away Tuesday, March 19, 2019 in Evergreen Home for Special Care, Kentville. Born in Middleton, she was a daughter of the late Willoughby and Alice (Crocker) Gates. Janet loved her church, the Hope Centre Family Church, New Minas, where she was a member and loved to sing and share her testimony. Janet had a heart of gold and many people enjoyed receiving the homemade cards that she loved to create. While at Evergreen Home for Special Care, she was involved with the art program and greatly enjoyed many of the activities provided by the home. She is survived by a daughter, Bonnie, Waterville; three sisters, Margie Parks, Kingston; Arlene (Fred) McKay, Millville; Penny Gates (Larry McKay), Aylesford; a brother, Carl (Susan) Gates, Wilmot; several nieces and nephews. She was predeceased by an infant daughter, Debbie Lynn; two sisters, Mary Illsley and Ruth Simpson; two brothers, Merrill and Fred. Cremation has taken place. There will be no visitation, by request. The funeral service will be held at 2:00, Monday, March 25, 2019 in the Hope Centre Family Church, 9593 Commercial Street, New Minas, Reverend Dorothy Huntley officiating. Burial will take place in the Nictaux Cemetery. Donations in memory may be made to the Hope Centre Family Church, the Canadian Cancer Society, the Canadian Diabetes Association or Kings Regional Rehabilitation Centre, Waterville. A special thank-you to the staff of Evergreen Home for Special Care for providing a warm and caring home for Janet. Funeral arrangements have been entrusted to the White Family Funeral Home and Cremation Services, Kentville, Nova Scotia.